On a daily basis you are bombarded with advertisements. It doesn’t matter if you are on social media, driving down the interstate or trying to binge watch a show on Hulu, you are constantly being advertised to. I am sure this doesn’t come as a surprise to you and you have either consciously or subconsciously begun blocking out these advertisements partially or entirely. For businesses this is a troubling trend. If consumers are ignoring advertisements, how exactly can you sell your product or service to them? Influencer marketing might be the answer. Influencer marketing is the process of identifying and targeting influential people in your industry in hopes that they will help share your company’s message. Now the idea of targeting influencers is not new. Matter of fact, most commercials you see on TV feature influencers (athletes, movie stars, etc. ), but these aren’t the type of influencers we are going to discuss because unfortunately they are far too expensive to be possibilities for your business. The new wave of influencers, however, is affordable and accessible. So who are they? They are your favorite blogger or “the funniest Instagram account” that you follow. They are the people that post videos on YouTube that you simply can’t get enough of. They are your neighbor who leads a weekly meet-up of fellow quilters. They aren’t necessarily as famous as LeBron James, but within their niche they have major influence, typically more than even the biggest celebrity could. With the introduction of social media, customers took a lot of the power away from brands. It is now easier than ever for customers to express their feelings about a company to the masses and connect with other customers as well. Simply put, customers are becoming weary of traditional advertisements and are turning to word-of-mouth and recommendations as a more reliable way to form their decision. Consumers now trust advertising from brands less than ever, but are beginning to trust influencers more than ever. When businesses are able to form relationships with these influencers, they can immediately see staggering results. Before we go any further, let’s take a look at a few example of influencer marketing in action. Chances are you have seen Uwheels on Instagram recently. The challenge their co-founder, Dan Fleyshman, had is that he needed to find a way to make his product stand out, as well as educate potential buyers about the new technology. Uwheels turned to influencer marketing to solve this problem. By reaching out to famous rappers, athletes, models, etc. they were able to generate over $1,000,000. Neil Patel did a fantastic case study about Uwheels’s influencer marketing campaign that we encourage you check out for more details. Shredz is a nutritional supplement company that faced a similar challenge to Uwheels, trying to stand out in a crowded market. In 2012 they posted approximately $90,000 in revenue. Their marketing team decided it was time to take a different approach to marketing their products. Noticing a major trend of fitness on Instagram, they quickly realized there was a major opportunity to capitalize on the large followings of fitness influencers. They started by identifying potential influencers and analyzing their followers. Next they reached out to the people they felt met their criteria the best and offered them free products and monthly payments in exchange for consistent posts on their Instagram accounts. Though it is not known exactly how much money they paid monthly, it is safe to say it paid off. Just a year later, in 2013, Shredz posted an impressive $5,000,000 in revenue. Since then Shredz has continued to invest in influencer marketing and has continued to see a solid return on investment (ROI). Both Uwheels and Shredz are perfect examples of how companies, regardless their size or maturity, can capitalize on influencer marketing. Surely you can already see some of the benefits, but lets discuss them in more detail. 1. Expand Your Reach: When influencers talk about your business, you are exposed to their followers. For most brands, this will immediately increase their reach. Getting this type of reach from traditional marketing is significantly more expensive. Influencers have also put in a lot of work to attract their followers, so consider it less work that you have to do to find highly targeted leads. 3. Builds Trust: Influencers are where they are today because they have built trust amongst their followers. The level of trust they have built over time is something that all businesses should hope to capture. By partnering with influencers, businesses have a friendly introduction, thus increasing the level of trust between them and their new customers from day one. 4. Strong ROI: It is possible to have a successful influencer marketing campaign without spending any money. When it comes to ROI, there are very few marketing initiatives that can provide huge return for little money. Small/new businesses especially should consider influencer marketing as a legitimate way to quickly grow their business, without the luxury of a large budget. 5. It’s Native: We discussed earlier how consumers have begun ignoring traditional advertising. It is easy to do this because it sticks out like a sore thumb. If you run an ad on Facebook, for example, it is displayed differently than regular posts. This makes it easy for consumers to ignore them. The beauty of well executed influencer marketing campaigns is that they do not seem like advertisements at all. 6. SEO Boost: Without getting into too many technical details, influencer marketing can have serious SEO implications. For example, a reputable blogger linking to your website and discussing your product is something Google’s algorithm loves. Google knows how important trust is to people, so they reward websites that have backlinks from other websites they deem trustable. 1. Define Your Goals: Before you connect with influencers, you need to clearly define what you hope to accomplish with the partnership. Potential goals could be: building awareness, increasing sales of a specific product/service or building trust within your industry. Without clear objectives you will struggle to narrow in on the ideal influencers and you will limit your ROI greatly. 2. Start Making a List of Influencers: Once you know your goals, you should start making a list of influencers. If you have several different products/services, each one should have a specific list. Within each list you should organize them by size of following. For example Guy Kawasaki would fall into the category of large following, while a small niche blogger would be towards the lower end. Both ends of the spectrum have benefits, but your approach towards getting them on board may be completely different. 3. Quality > Quantity: One of the biggest mistakes brands make when it comes to influencers is assuming that the people with the biggest followings are the best. In reality, quality is far greater than quantity. You want to find influencers that have followers that align as closely as possible with your ideal customer. Being exposed to 500 people that are extremely interested in your product is far more effective than being exposed to 10,000 that aren’t interested. 4. Prove the Value for Both Sides: Now it is time to reach out to the influencers you included on your final list. Influencers receive emails all day, every day, so make your offer stand out by clearly defining what they will get out of it. Uwheels for example gave influencers their $700 product for free, as well as access to it before the general public. Convenience is also a major selling point. Make it as easy as possible for influencers to partner with you. If there is a clear benefit to them and it requires little to no effort on their part, it might just be a deal they can’t resist. 5. Allow Them to be Unique: In order to stand out from the crowd and build influence, influencers had to be unique. This uniqueness is what their followers love about them. Be sure to allow creative freedom for influencers so they can incorporate your message seamlessly into their everyday content. 6. Track Results and Follow Up: “If you can’t measure it, you can’t improve it.” Peter Drucker famously said this quote and it could not be more true when it comes to marketing as a whole, and specifically influencer marketing. It is important to find a tool, such as eClincher, that can help you to track link clicks, total number of impressions, etc. This data can help you to optimize your messaging and provide value to both your brand and the influencers you are working with. In order to do this, it is important to follow-up and build relationships with on-going communication. Behind some of the hottest new companies are influencers; everyday people with extreme influence in their niche, regardless the size. Through partnerships businesses and influencers are able to benefit each other and help grow businesses they truly care about. If your business is looking for a way to fuel growth, consider investing in influencer marketing. The benefits are abundant, the effectiveness is clear and the only real question is: what are you waiting for? 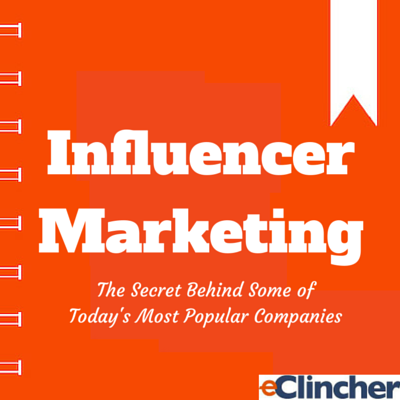 Has your business had success with influencer marketing? Share your success story in the comment section below! Absolutely! Unfortunately many small businesses are unaware of how affordable and powerful influencer marketing is. This is in large part due to their lack of understanding of what an “influencer” is. Sometimes the smallest influencers, the mom that runs a local meetup, can be all a small business needs to gain traction. You are more than welcome! What did you like best?